I may just need a carb and alcohol free September…October and November! A few weeks ago, my family and I flew out to Venice Marco Polo airport to begin a short yet amazing food and culture adventure in the costal town of Jesolo. 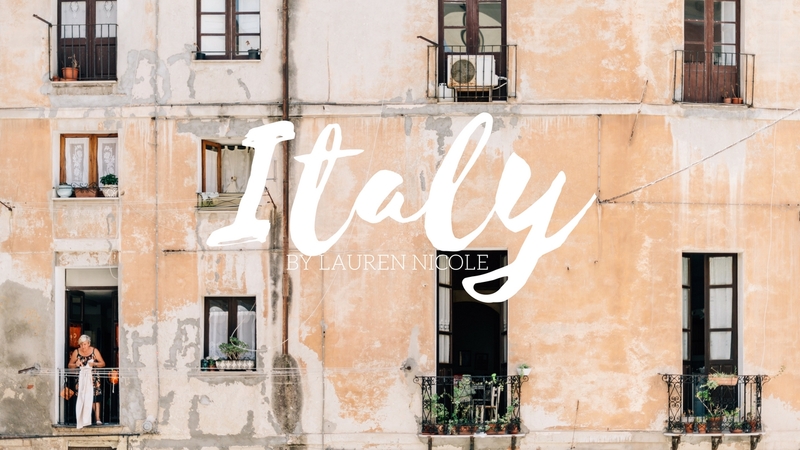 From the flight to the beach, here’s my ultimate guide for a mini summer vacay in Italy – you may just want to book your flight for Summer 2017! Indulge! 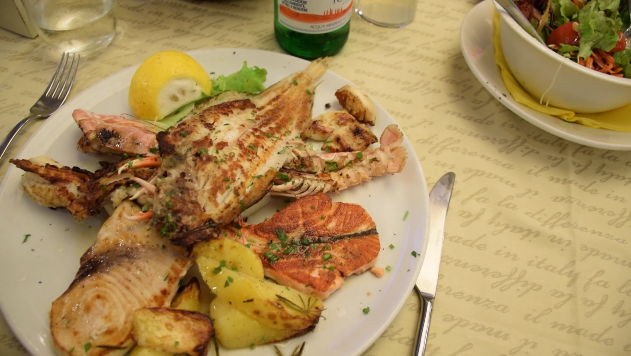 Italy is one of the best countries to be in if your are a foodie. So, book a reservation to dine at the busiest restaurant on the strip, Tempini. Attracting Jesolo’s residents as well as tourists, Tempini sees queues out of the door every day during the week. For deliciously fresh seafood, authentic pasta or pizza, Tempini is the place to go. Sit by the open kitchen and you can admire the craft of the chef as he grills seafood, spins dough and cooks up some of the best dishes the strip has to offer. I tucked into their grilled seafood platter. If seafood isn’t for you, hit up Pizzeria Capri! Here you can sate a craving for genuine, Italian-style pizza, with a variety of traditional and innovative toppings. I chose the ‘Calabra’; pizza topped with tomatoes, buffalo mozzarella, Nduja (a spicy separable pork salumi from Italy), black olives, and cherry tomatoes and peppers from Puglia (the south of Italy). If your mouth isn’t watering…you’re not human – or a pizza lover! 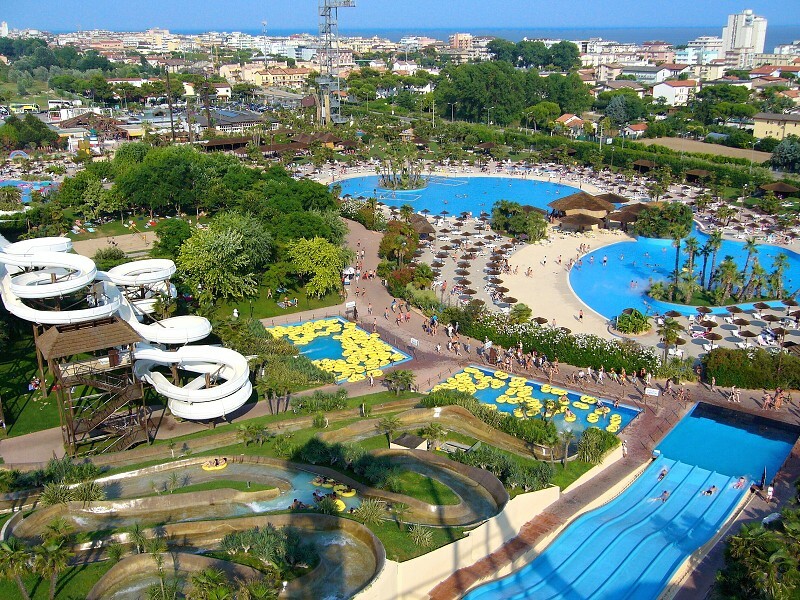 For all my thrill-seekers and water babies, check out Aqualandia; Jesolo’s ‘Caribbean Island’ resembling water park. Unfortunately, we didn’t get to go, but the reviews suggest this water park isn’t one to miss when in Italy, ranked as Italy’s No.1 Water Park. As you probably guessed it, Italy is heaven on earth for any wine lover, with great bottles of wine retailing from €4 in local supermarkets. 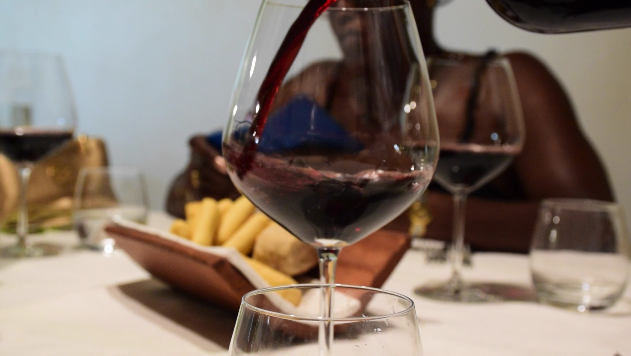 On day five we went to Ca ‘Landello a restaurant outside Jesolo, the red wine was so good we headed to their wine distributors store Sutto Wine to a buy a few bottles for our apartment. Jesolo is a holiday destination for many Italians and Europeans for its beaches and amazing weather during the summer, so you better pack as many swimming costumes and bikinis as you can find! I, of course, took my One One Three Marble Swimsuit, and spent most days by the beach lounging in the sun. And don’t forget your suncream, the sun is incredibly deceptive, it might look like your not going to tan incredibly quickly at 5pm, but trust me you are! So, keep that skin protected. Unfortunately, I only have this picture I took before the trip on snapchat. Fancy watching my trip? Check out my first ever vlog and subscribe!